The Nintendo Direct video with news regarding Pokemon X and Y just aired and the following new information was revealed about Pokemon X and Y.
Pokemon Bank is an online service that lets you store your Pokemon from Pokemon Black, White, Black 2, and White 2, X and Y on the internet. You can store up to 3,000 different Pokemon in 100 different "Boxes" like in the PC in the actual game. What's more you can use Poke Transporter another new feature to store your Pokemon from Black, White, Black 2, and White 2 and transfer them to your X and Y version. Because the Pokemon Bank will require maintenance and constant keeping up and will allow you to keep all of your Pokemon for many years to come, for future generations, etc you will have to pay an annual fee. But this is absolutely understandable and totally worth it. This kind of thing has been in development for around five years now and this kind of compatibility between older and new games is amazing. 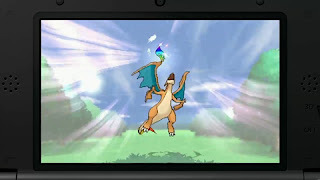 Pokemon Bank and Poke Transporter are Add on Software that will be available for the 3DS once X and Y come out. Think of it like Downloadable Content. 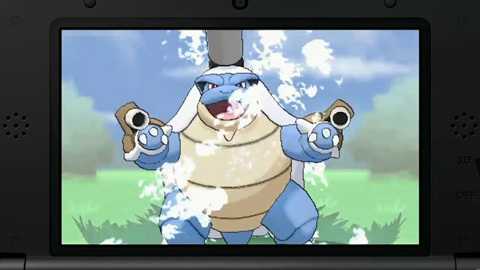 In X/Y your Starter Pokemon will be given to you by your friend and then Professor Sycamore will give you either Bulbasaur, Charmander, or Squirtle later on. So in combination with Pokemon Bank and Poke Transporter you can actually obtain all of the starters from each of the first six generations of Pokemon! 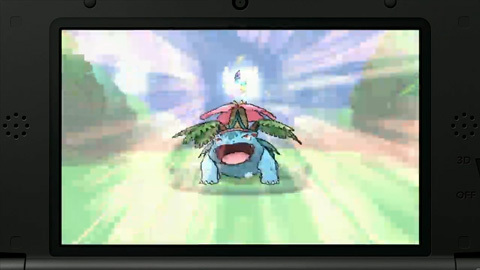 Venusaur, Charizard, and Blastoise have Mega Evolutions! The player's watch combines the feelings of the Trainer with the Pokemon to achieve Mega Evolution. 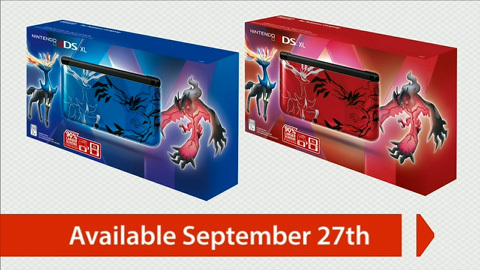 The blue and red 3DS XL Xerneas and Yveltal will be released on September 27th in America. A ton of great information from Pokemon, Nintendo, and Gamefreak about X and Y, it's all positive and really exciting stuff. I'm looking forward to it. Check out Fanboys anonymous for for more information as it comes out you can also follow me on twitter @chrisjester89 and fanboys anonymous @fanboysanonymous.